To order this item you MUST have a store account established for it to be activated. Do not order under guest payment option. Get full access to all magazine back issues in PDF format! 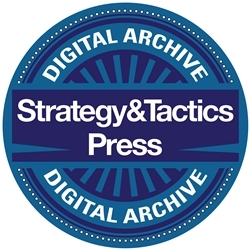 Currently includes Strategy & Tactics issue #1 to issue #300, World at War #1 to #50, Modern War #1 to #25, and the first 60 issues of MOVES (SPI edition). 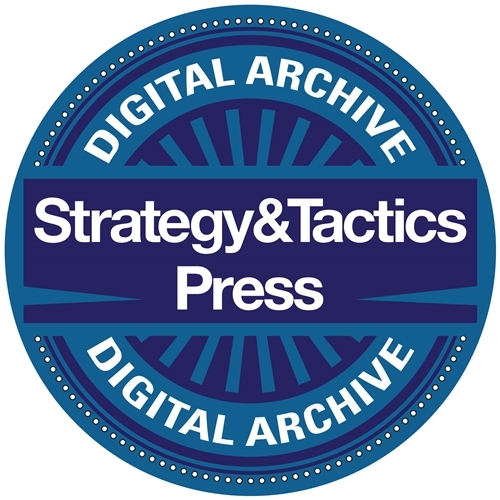 It now includes the Strategy & Tactics Comprehensive Article Index (Article listings from ST #1-300)! The PDFs are downloadable onto your computer. The games are not included in the digital archive. The S&T Article Index is a listing of all articles from S&T #1-300+. You must be logged in to access the digital archive. When logged in, a tab named "Digital Archive" will appear in the left menu of the store page. Click this tab to view the archive. I've never been a gamer, but the early S&T provided some of the best (succinct) analyses of the topic of that month's mag. I subscribed beginning with #34. I commend A.A. Nofi for his insightful articles on specific battles/campaigns/strategy&tactics. I discontinued my subscription while I achieved my PhD and began my academic career. With the advent of www and ebay, I filled in gaps so I now have #1 - #120, which I consider the best of S&T. I now look forward to catching up with a plethora of new insights. Thank you for having made this fantastic tool for those of us who teach/taught military history. Downloadable PDFs of S&T, Modern War, World at War, and Moves. Quality varies, espcially for the older issues, but they are all readable. The archive gets updated every couple of weeks with new issues. I teach a wargame desisgn seminar and these are well worth the $20 as a reference.